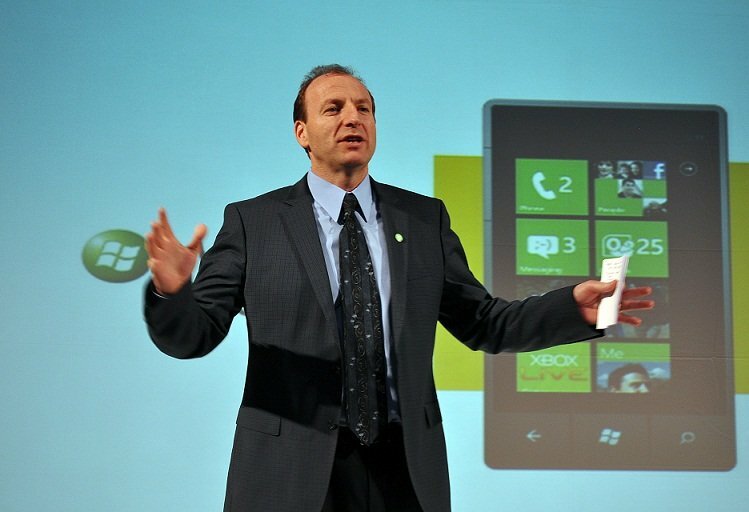 Following up the Ballmer keynote, Andy Lees, President, Mobile Communications Business was available for a few questions regarding the recent announcements and more importantly, things that weren't mentioned. First off, Windows Phone 7 will be getting greater language support by year's end--specifically they'll have 88% of all languages covered, which is large jump from the current 45% (give or take a percent or two). That should be welcomed news for those who have been struggling with not having their native tongue supported. In addition, we're told that keyboard character issues related to specific languages e.g. Polish, will also be fixed this year. Next up we asked about the Chassis 2 aka the Blackberry/Treo style of Windows Phones with a smaller landscape screen but dedicated front keyboard--what's the progress on that? So in short, the Chassis 2 spec is still planned but as of now, the focus and consumer demand seems to be on larger screen devices so that is evidently where their resources are being concentrated. C'est la vie.